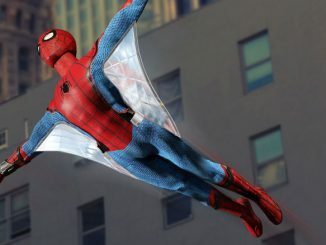 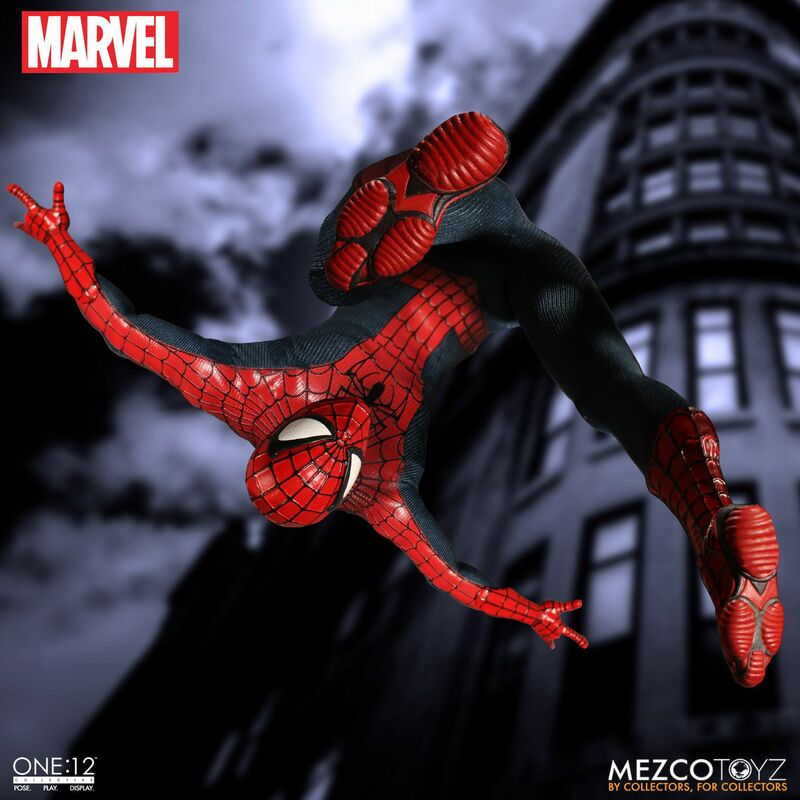 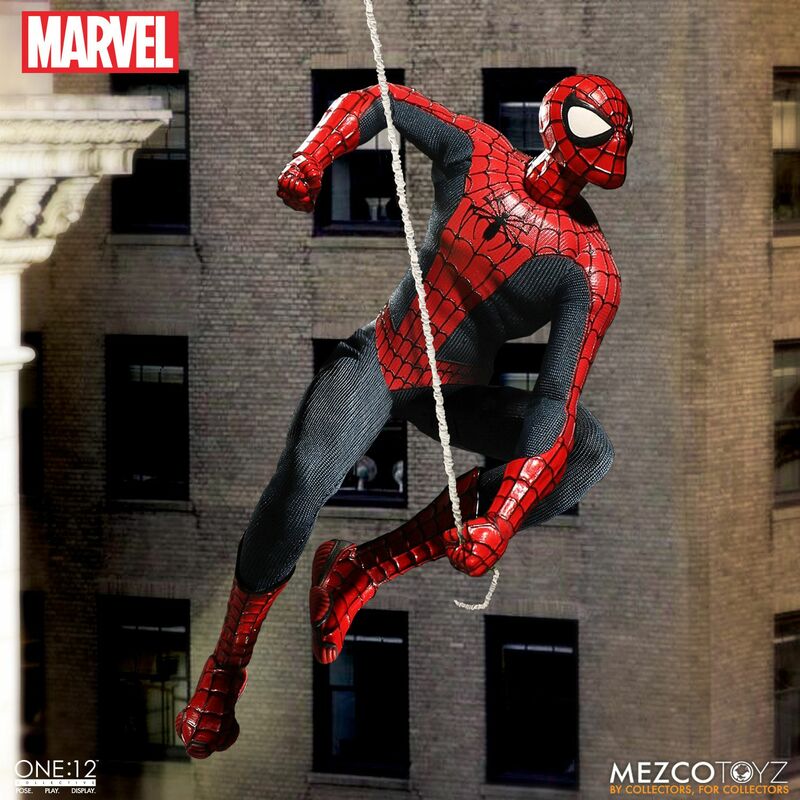 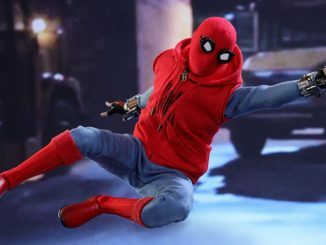 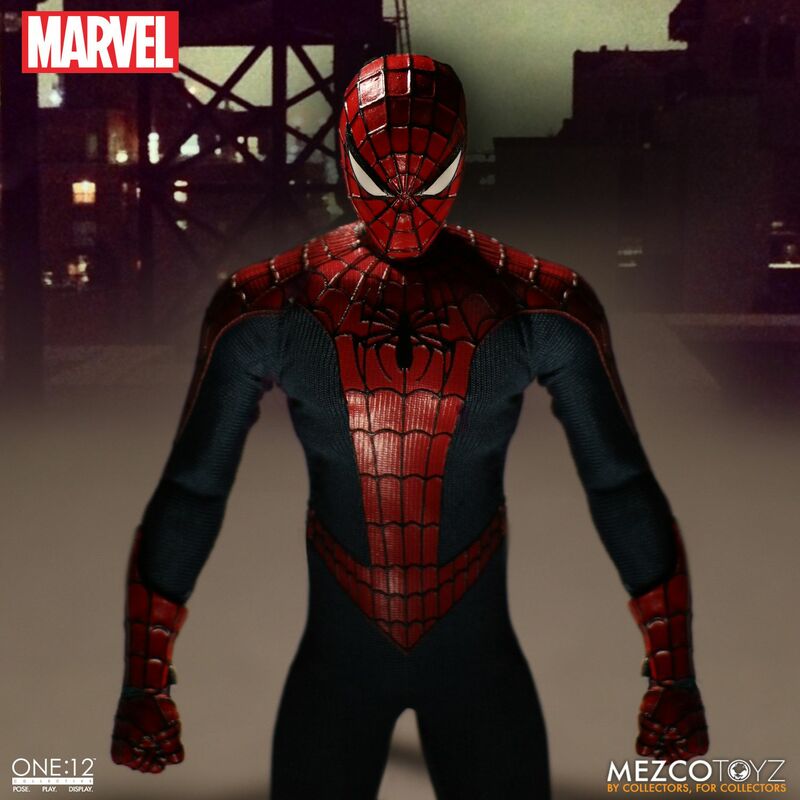 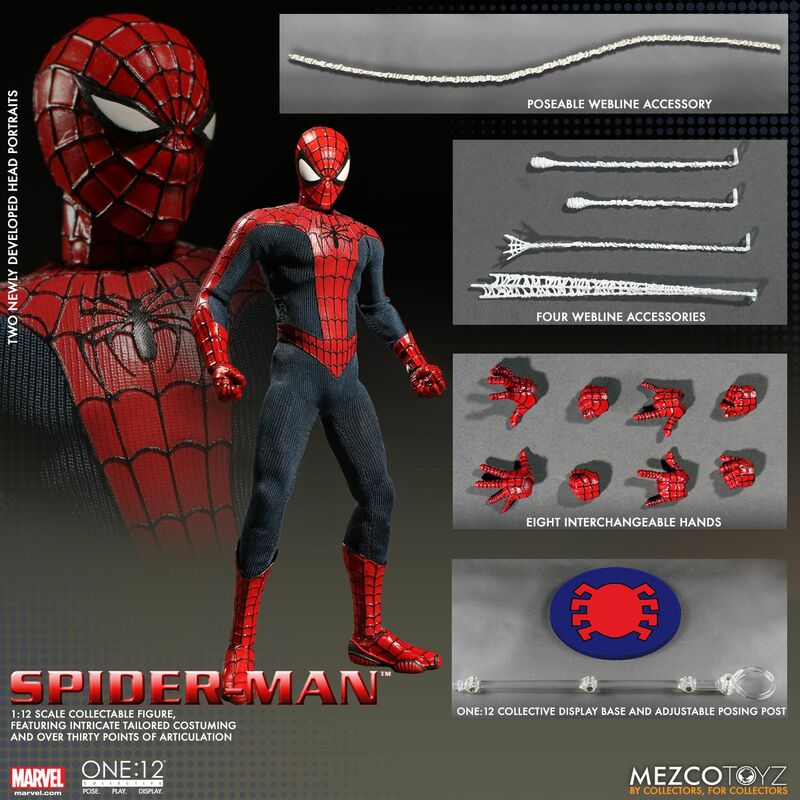 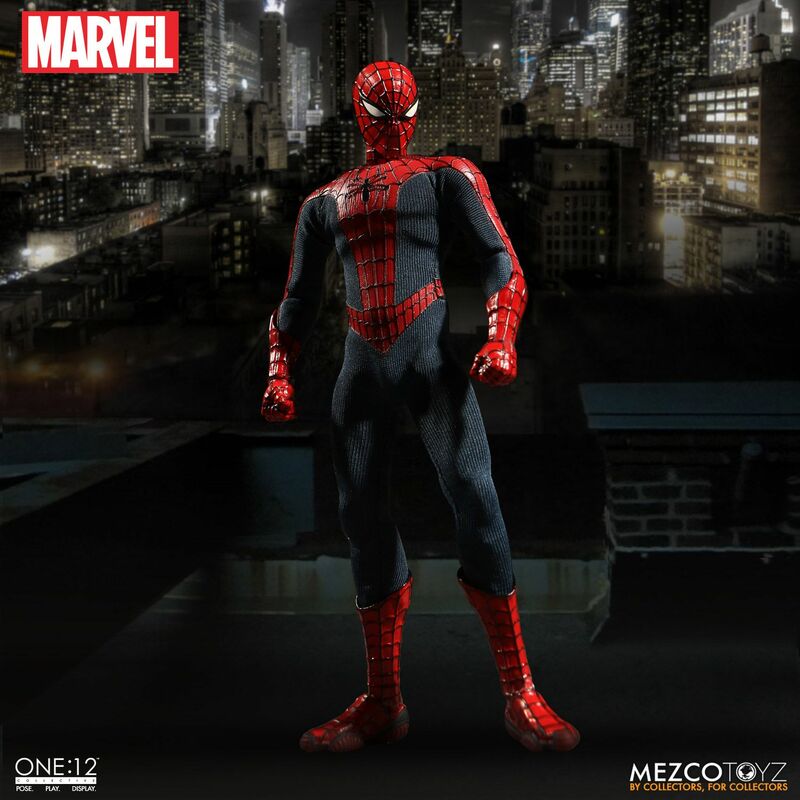 Peter Parker gets a sharp new look with the Spider-Man One:12 Collective Action Figure. 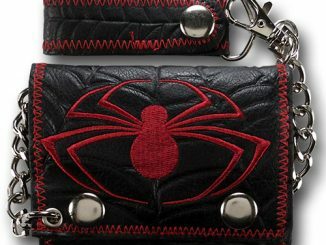 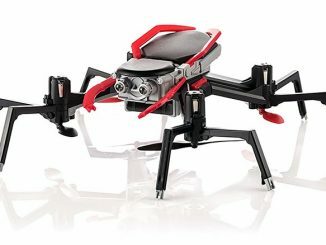 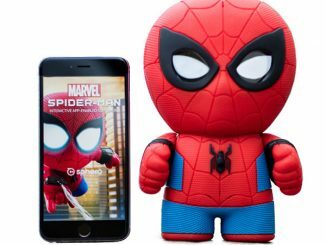 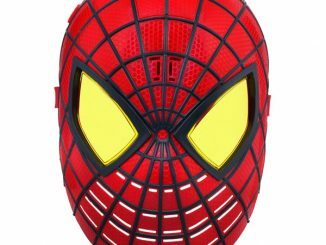 Standing a little over 6-inches tall, everyone’s favorite wall-crawler is dressed in a spandex outfit with silk screened details and acrylic eye lenses. 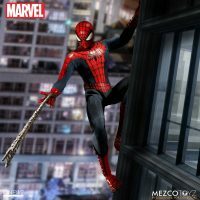 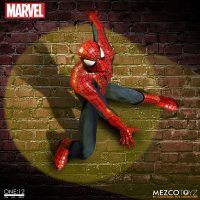 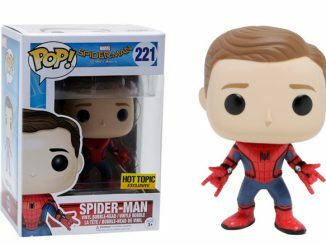 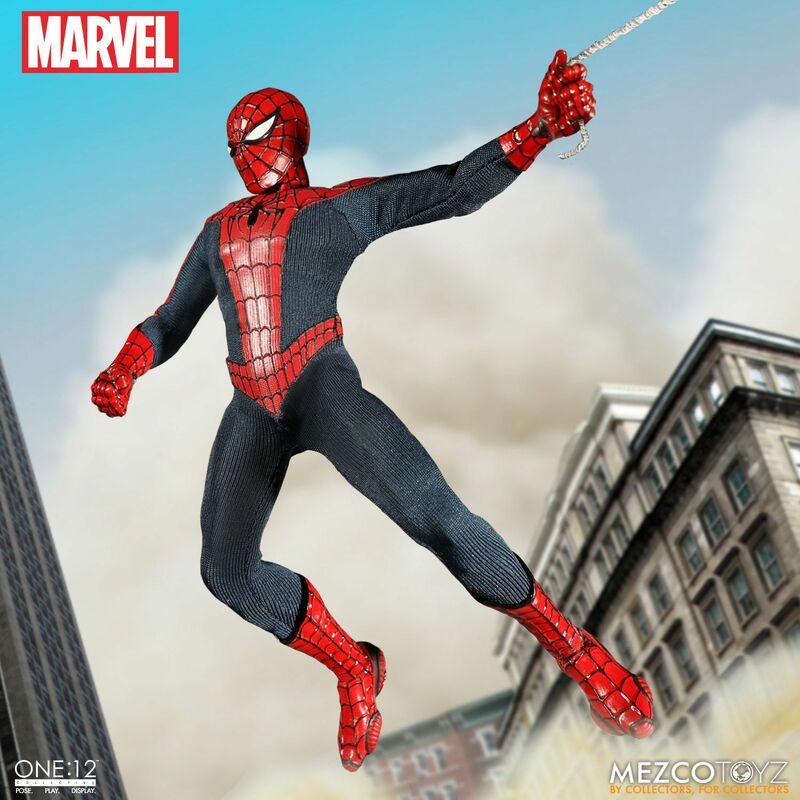 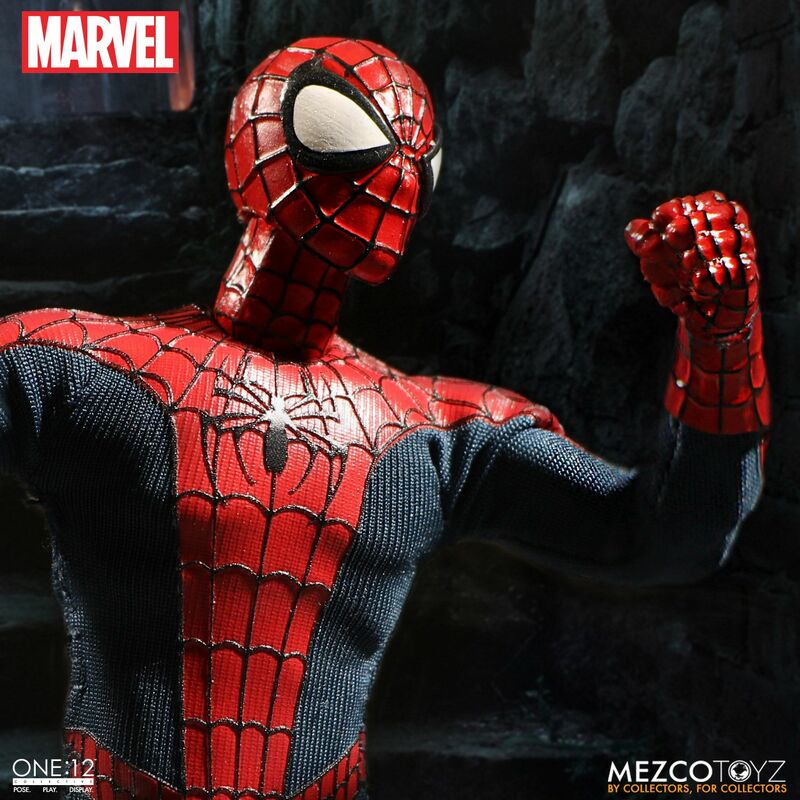 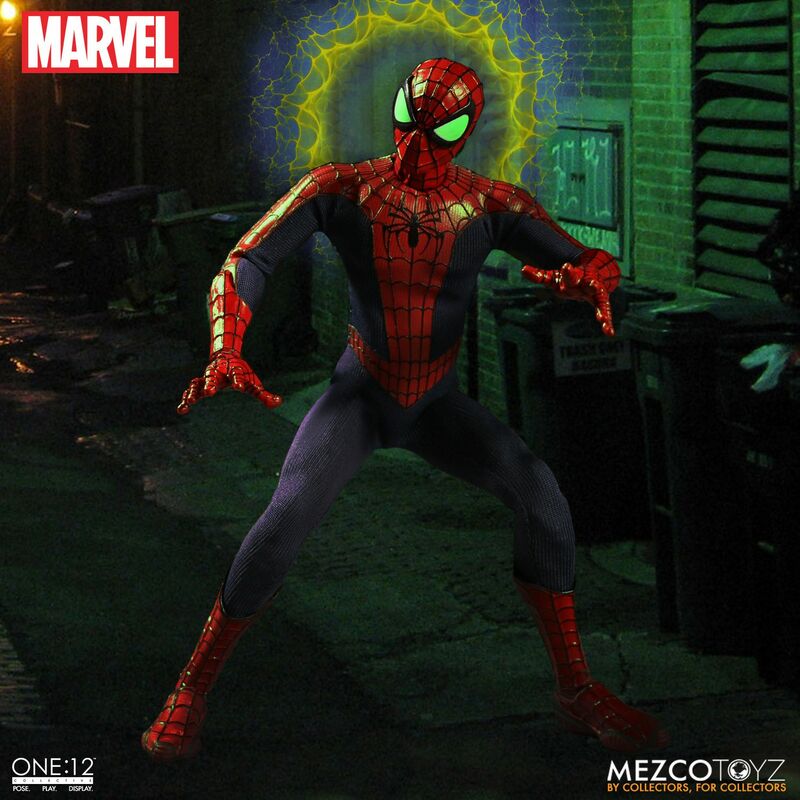 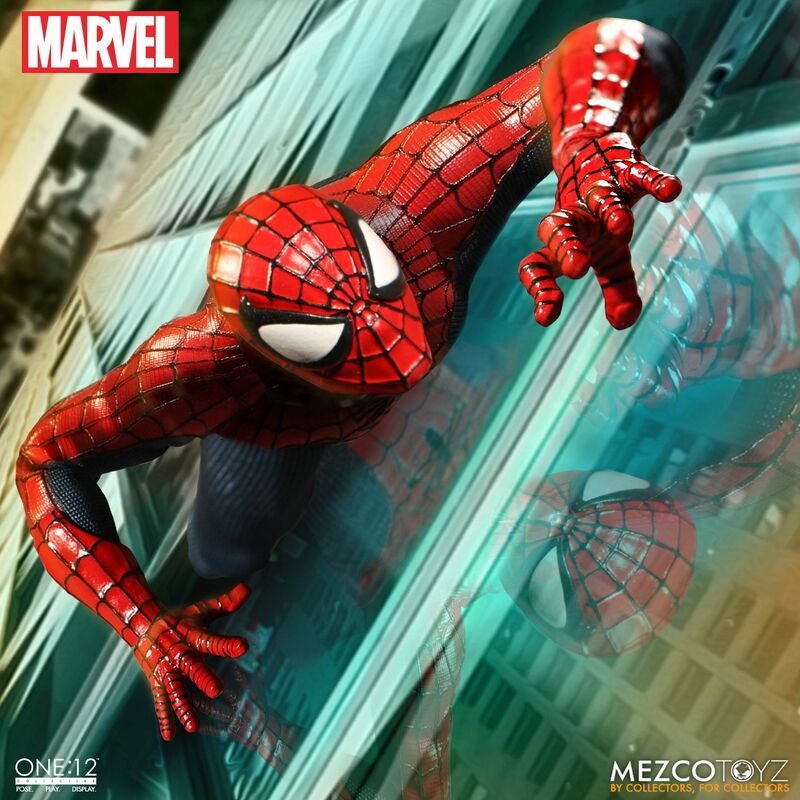 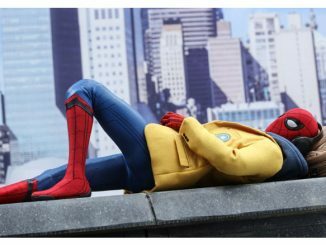 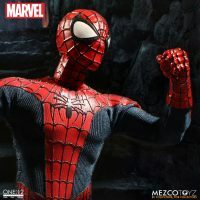 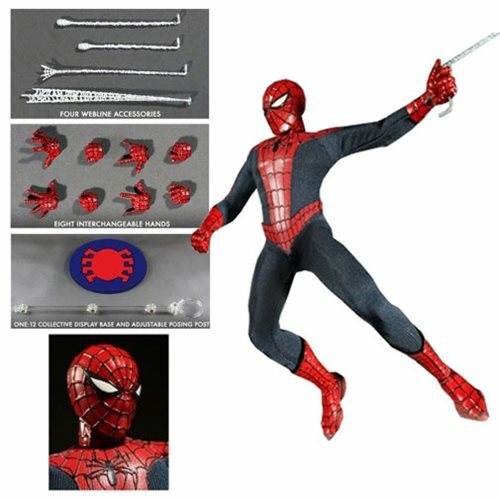 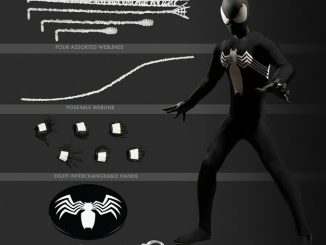 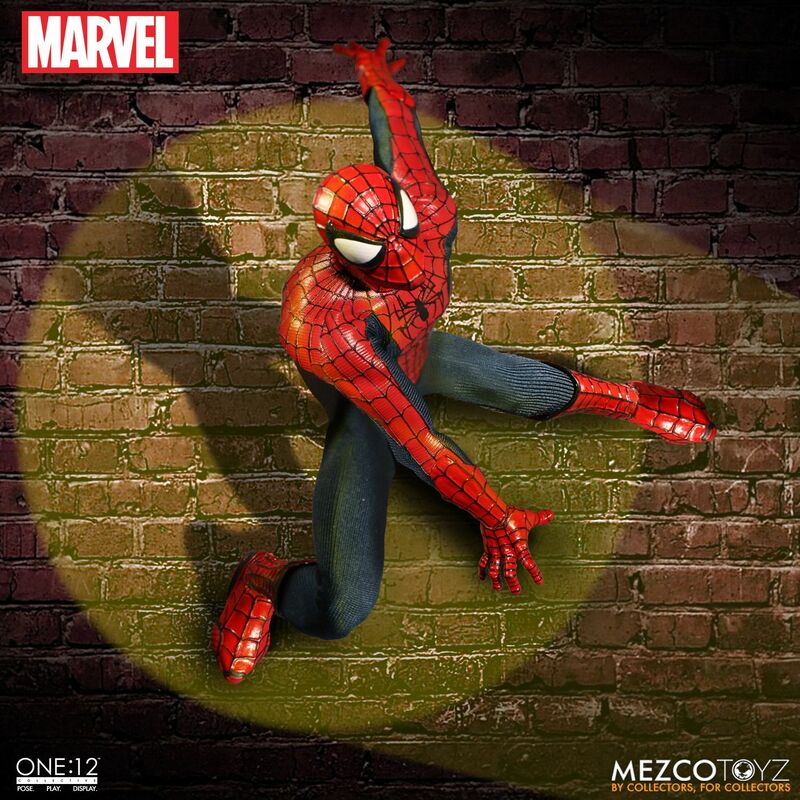 In addition to cool Spidey accessories like interchangeable hands and 5 different weblines, the figure also comes with 2 different head sculpts (one with large eyes and one with small eyes). 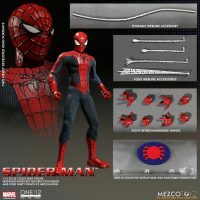 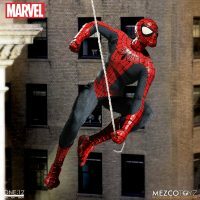 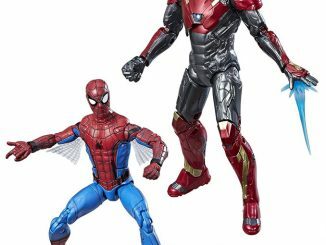 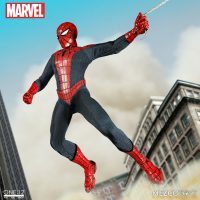 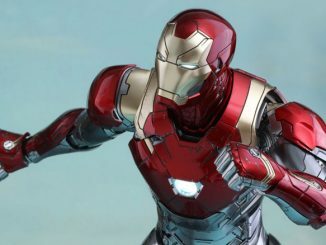 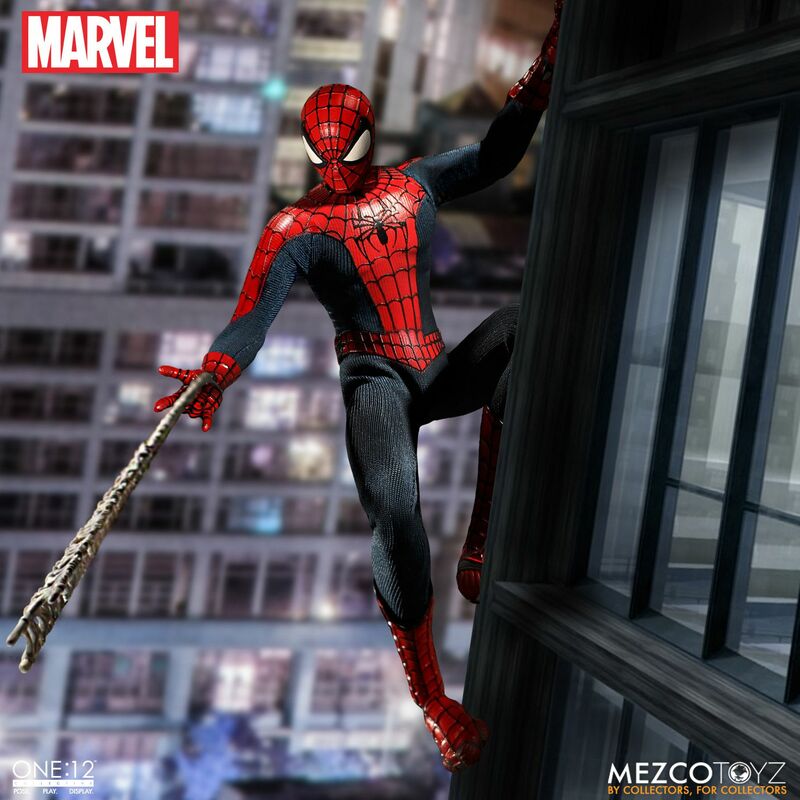 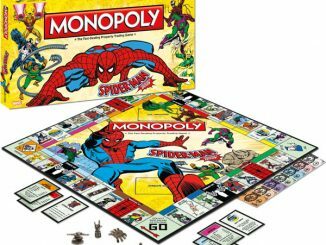 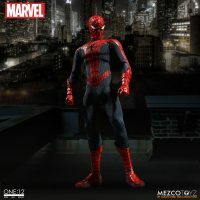 The Spider-Man One:12 Collective Action Figure will be available June 2017 but it can be pre-ordered now for $80 at Entertainment Earth.